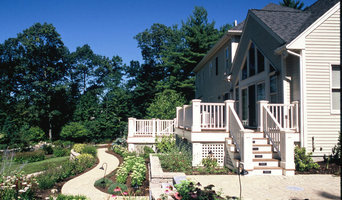 Ream Design provides landscape design & construction services to homeowners throughout Massachusetts. 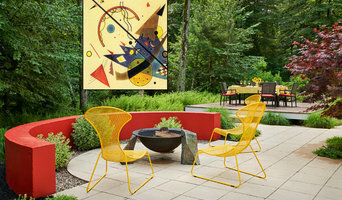 Our creative team provides landscapes that incorporate timeless materials & innovative design. We offer a highly imaginative approach to creating stunning outdoor living spaces. Our goal is to help people live in closer connection to nature on environmentally healthy properties. We strive to produce spaces that balance form and function, create a harmony between homes and their surroundings, all while keeping the client's lifestyle and budget in mind. We strive to create and maintain the best lawns possible for our clients, we work to any specifications with the most successful lawn care strategies available today. Our commitment to a select number of projects over the course of a season; emphasizing quality over volume, allows us to best utilize our talents towards providing highly personalized service. Ralph Williams Landscape Design is synonymous with inventive ideas, having created some of the most distinctive & impressive landscape around. The team is very hands on and involved start to finish. DBLA brings customized service, exceptional design solutions, and a clear process to owners who know quality and recognize the value of durability, purpose, and beauty in their surroundings. 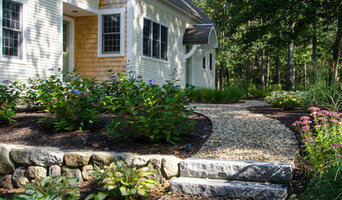 Bloom & Twig is a full-service landscape design company, making the Boston MetroWest more beautiful one home at a time. We design and install exterior landscapes, seasonal containers, vegetable gardens, and such. Anna K. Lomes relocated to Boston from California in 2003. As a real estate agent in Beverly Hills, Anna understood the importance of 'curb appeal.' One of the most cost effective ways to add value to a home was by re-landscaping. Soon her love for the outdoors and all things green made her just as excited to make-over a house as close a deal! She renovated her own landscaping in Wellesley, then the homes of her friends. Hours of research, days of coursework, and years of experience later, Bloom & Twig was born! With an eye for design and a knack for finding the best deal, Anna throws her passion into all of her design projects - from completely renovating a yard starting from scratch, to designing gorgeous seasonal containers to greet your visitors by your front door. No design job is too big or too small. Lynch Landscape & Tree Service, Inc. has decades of experience delivering landscaping services and tree service for the most demanding projects in the Greater Boston and Metrowest areas. Dana Schock and Associates was started in 1985 and through the years has established a reputation for providing specialty landscape design services for the residential property owner. Our commitment to a select number of projects over the course of a season; emphasizing quality over volume, allows us to best utilize our talents towards providing highly personalized service and sensitive design to each and every project. Our expertise in all phases of a project; from conceptual design through detailed drawings, and project supervision, allows us to successfully guide clients through what can often be a challenging and intimidating process. The last word on a completed project should not be “what else could we have done ...” The last word on a project should be "it is just perfect!" Founded in 1958, Rutland Nurseries has grown into one of the largest & well respected landscape design & maintenance businesses in New England & boasts having some of the best landscapers in MA. Provost Companies, Inc. was officially founded on January 1, 2008. Our story unofficially started in the early 2000’s when a young entrepreneur began assisting on his fathers construction projects and servicing his neighbors properties on the weekends as well as during the summer months. 10 years later Provost Companies, Inc. (Formerly Provost Landscape & Construction) is a full blown construction and site management company. Provost Companies, Inc. is a series of individual teams, or companies, that all specialize in different trade disciplines that operate under the same parent company. Our services range from high end residential construction to large scale high end commercial site management and everything in between. Our asset management abilities are endless. Our business model allows our clients a simple and effective means to accomplish virtually any construction or site management project they could come across. We aim to simplify the home, property, and asset management responsibilities of our customers by offering a business that was designed to accomplish just that. Here at Redmond Design Group, Inc. we pride ourselves on keeping the work-site clean each night, active communication with our clients about the job progress and work on one project at a time. 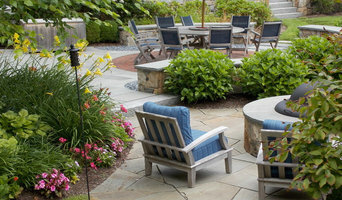 Mary LeBlanc Landscape Design, located on Cape Cod, Massachusetts, is a small, award winning design firm with local emphasis and national experience. Over twenty years of bringing innovative design solutions and a collaborative approach to our clients has earned us projects through out New England as well as across the country. Working closely with clients is the cornerstone of our success. From start to finish and for years beyond, we build relationships and gardens that last a lifetime. Whether it’s a perennial garden and pool on Cape Cod, an outdoor kitchen on the South Shore, or master planning a large estate near Boston, we listen to your unique story, design within budgets and honor our stewardship of the land. We design distinctive landscapes that resonate with the surrounding architecture & regional conditions. Our work brings an open-mindedness to each project, focusing on unique landscapes per site. Our focus is always the client, and our passion is creating and maintaining a beautiful and inviting outdoor living space for you and your family.